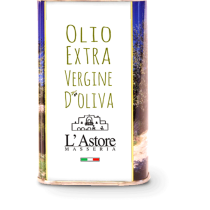 The prince of the Mediterranean diet, olive oil is the golden nectar with beneficial properties and also an incomparable taste. For about the last 8 centuries the production of oil has been a ritual here at Masseria L’Astore. St John’s Chapel (XIII SEC., D.C.) with its Byzantine crypt, located in our estate, is historical evidence of the work of the Basilian monk architects of olive cultivation on the land reclaimed from the Mediterranean. The olive groves are some of the oldest in Salento and our underground oil mill which dates back to the early 800’s , was among the most important of the area. 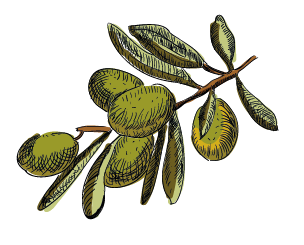 In some corners of our farm, time seems to stand still between the millstones turned by mules and in ‘air you can almost hear the echoes and the heroic struggle of the millers, Masseria L’Astore’s oil is produced from 3 cultivars of olives: Cellina of Nardo or Saracen, Ogliarola and Leccino, coming entirely from the 40 hectares of olive groves. Elixir of health, olive oil has antioxidant properties that fight free radicals, slowing cellular aging, is good for the heart and facilitates the absorption of vitamin D thus bringing benefit to bones. Organic farming creates products obtained without the use of pesticides (GMOs) and chemicals. The existence of organic products and their purchase supports environmental care, increased biodiversity, animal welfare and rural development.